Metal Matchbox Puzzles | Can You Solve Them? These metal puzzles will really boggle your brain! Everyone loves a good puzzle, right? 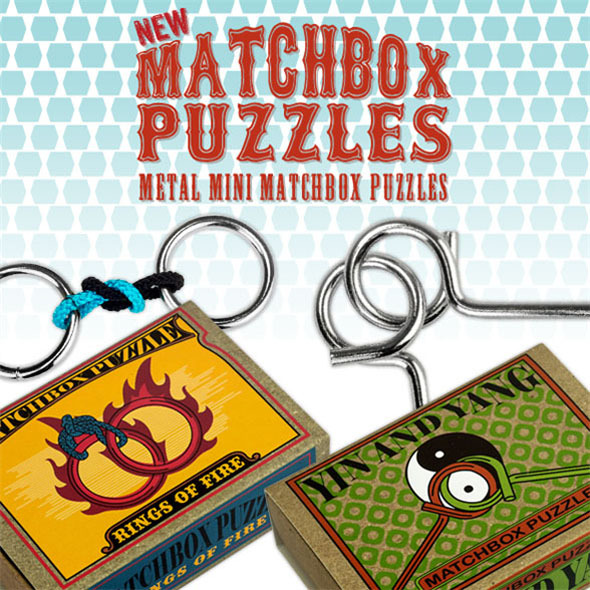 Equal parts fun and mind-bending frustration, our Metal Matchbox Puzzles will only yield to the most accomplished puzzle-solving intellect! As the name suggests, the Matchbox Puzzles are small enough to fit in your pocket and whip out at a moment's notice. 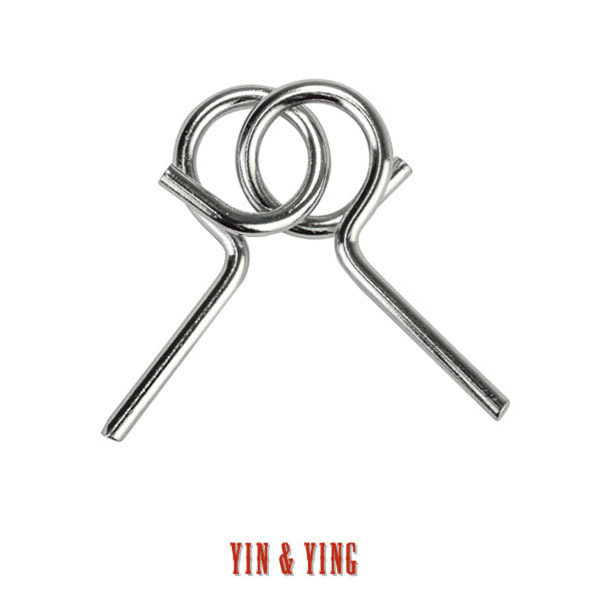 Don't be fooled by their size, though - these miniature metal puzzles are just as taxing as any full-sized puzzle! If you need a stocking filler for your child genius, a Secret Santa gift for that geeky co-worker, or simply something that will keep you occupied for a bit, these metal puzzles are sure to fit the bill. Can you solve both of them? Separate the two rings...then put them back together again! 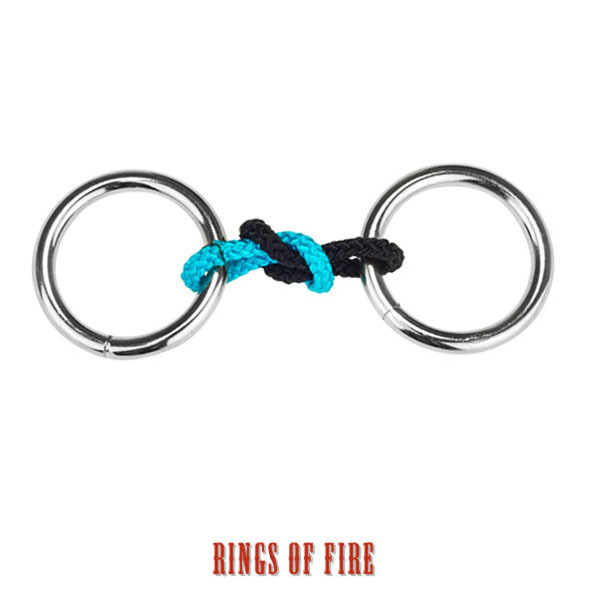 Note: Rings are not actually on fire, and we do not recommending setting light to them. Take the Yin and the Yang apart, then re-attach them to restore the karmic balance of the universe.